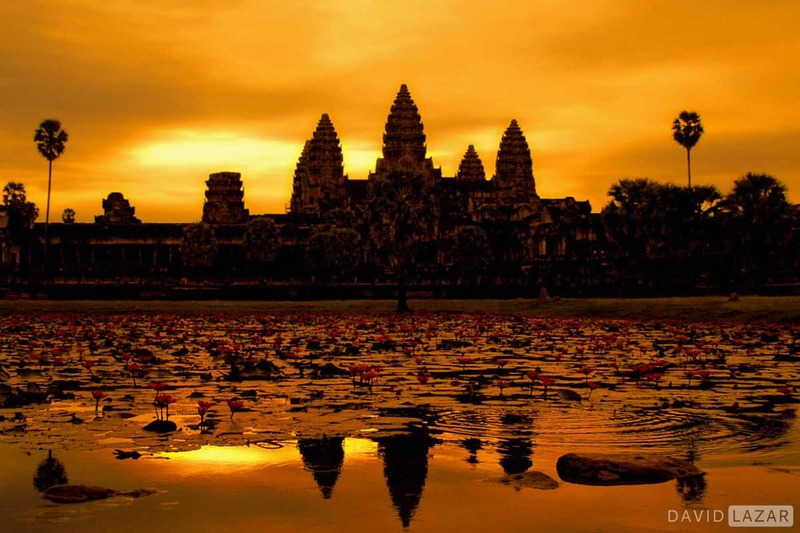 For much of the photography tour set, places like Thailand and Angkor lost their powerful allure many years ago. The photographer may have already been there done that, or heard they’ve been too ravaged by anthills of tourists to be worth their time and money. On the surface I would agree with them. 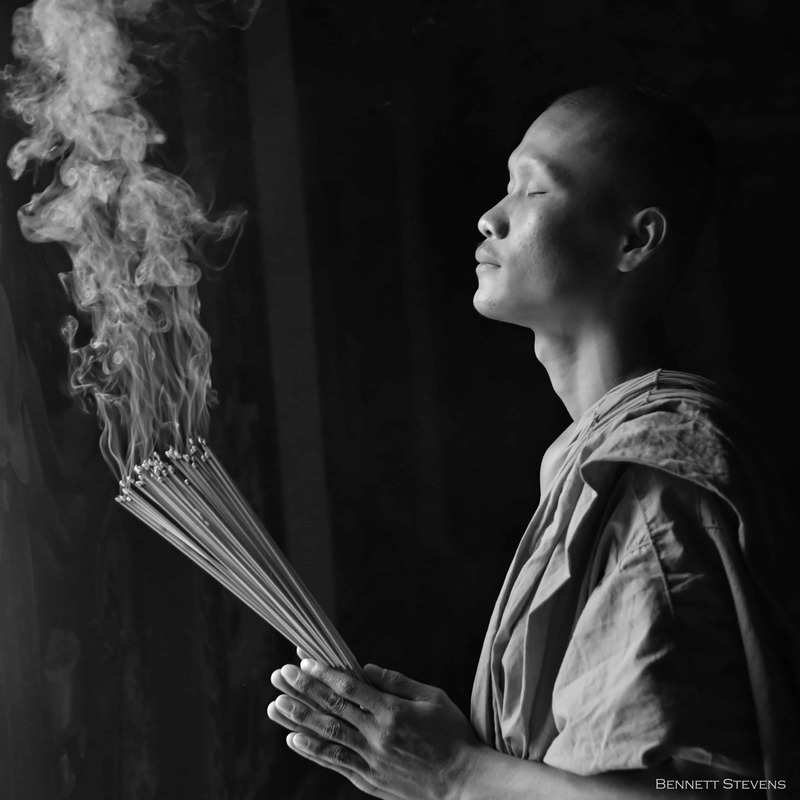 Dig a little deeper though, as I did on a recent research trip for LJ’s Southeast Asia photo tour with noted travel photographer David Lazar, and you soon discover opportunity after opportunity to capture some marvelous travel images. The extra degree of difficulty only makes you better. 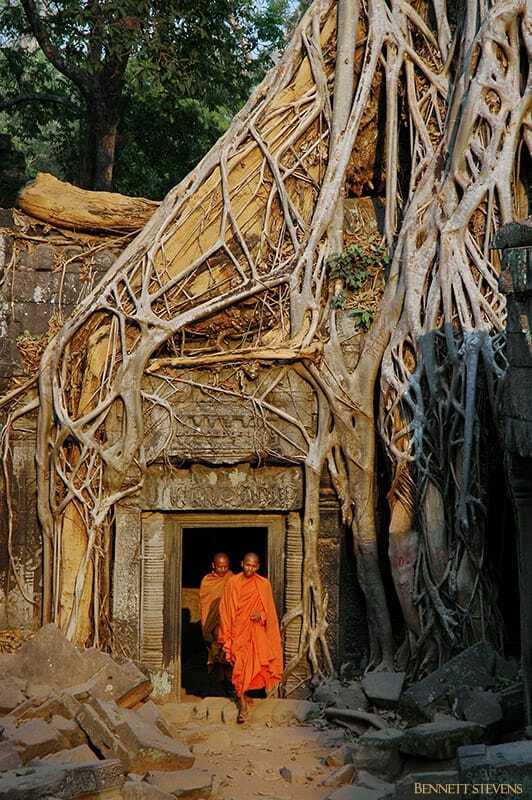 Now, is the image like the one below taken a Ta Prohm (near Angkor Wat) in 2005 still possible? No. As the recent second image shows. It was a bit sad for me to see after 13 years, but I always knew it was inevitable. My first visit in 1998 had very few tourists about and access was wide open and unencumbered. 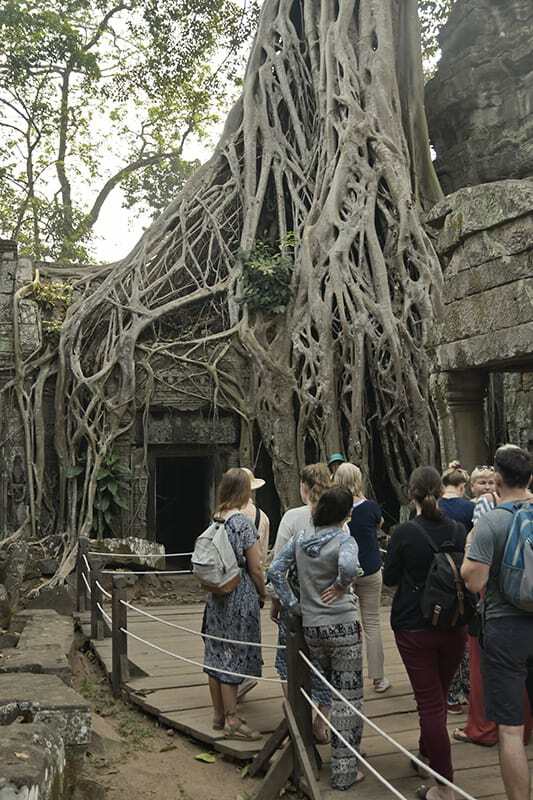 By 2005 there were a lot more tourists, but one could still find himself alone at Ta Prohm with a couple of monks if he knew the best time to go and got lucky. Alas, there is no sense in mourning what was and cannot be again. Instead the travel photographer must learn how to work in and around well travelled places, and not write them off too hastily. There is no telling the treasures that still await the wiley and creative road snapper who is up to the challenge of his or her craft. Generally speaking, getting up, getting out and beating the dawn means beating the crowds as well. When you are finished shooting and the best light is gone, that’s when the tourists start to arrive. But not always. 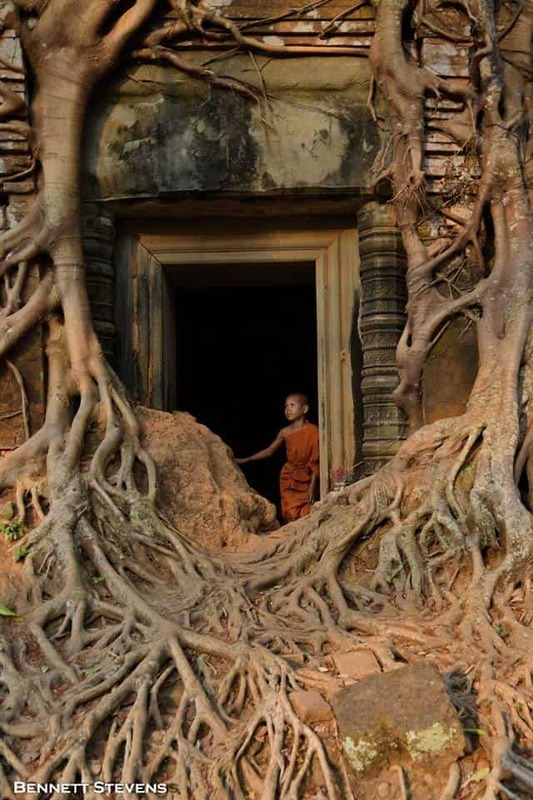 Take Angkor Wat itself, for example. These days it’s packed solid for the famous must have sunrise temple shot. This means beating not only the dawn but the crowds as well. It means getting there before 5 am to get a good position. Once you have secured you spot, the eventual photograph will never show the hordes of people and tripods and mobile phones around you. 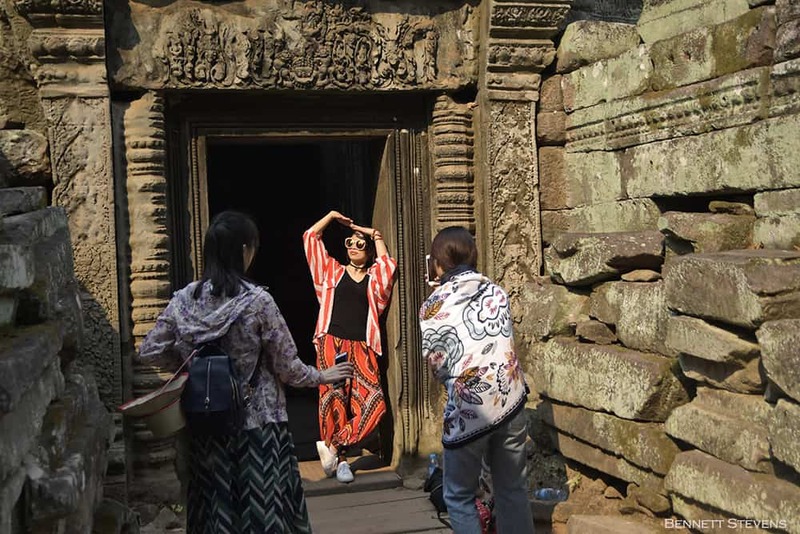 Taking Angkor and its nearest temples again as an example…moving opposite the pack will very often find you relatively unburdened by tourists who, however innocently, are geniuses at stepping into your frame at the worst possible moment. While everyone is packed in at Angkor early morning, you could be one of the very few people at a wonderful temple like Preah Khan. (See image below is by Luminous associate Kimleng Sang.) Plan your shooting days ahead of time and go against the flow whenever and wherever it makes sense. 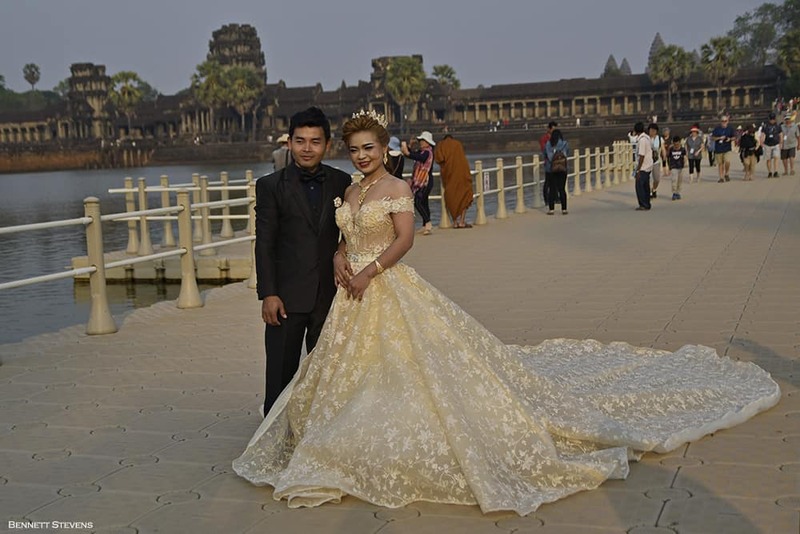 If it is not in the shot, then for all intents and purposes it does not exist, as with the sunrise crowds at Angkor Wat mentioned above. 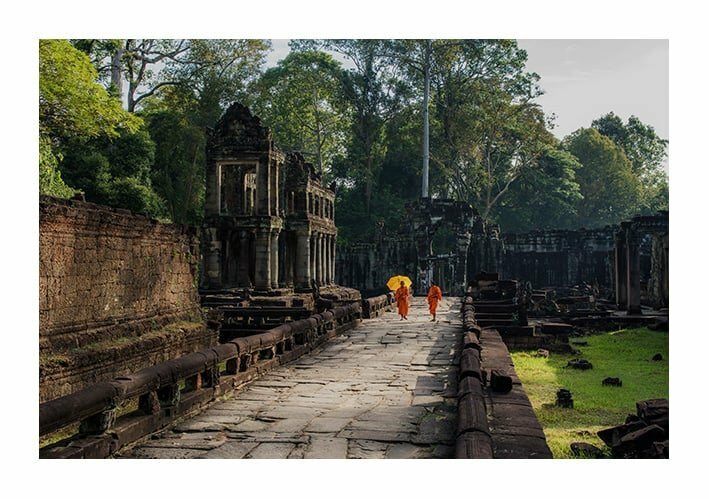 The images below were all taken on the 2018 trip to Angkor. All were taken with loads of tourists around. 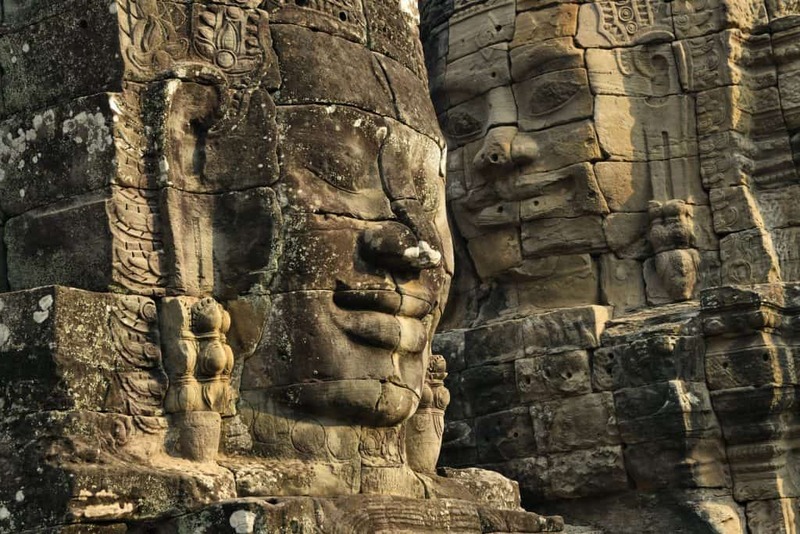 In the case of the first image, the Bayon, David lazar simply shot over them. 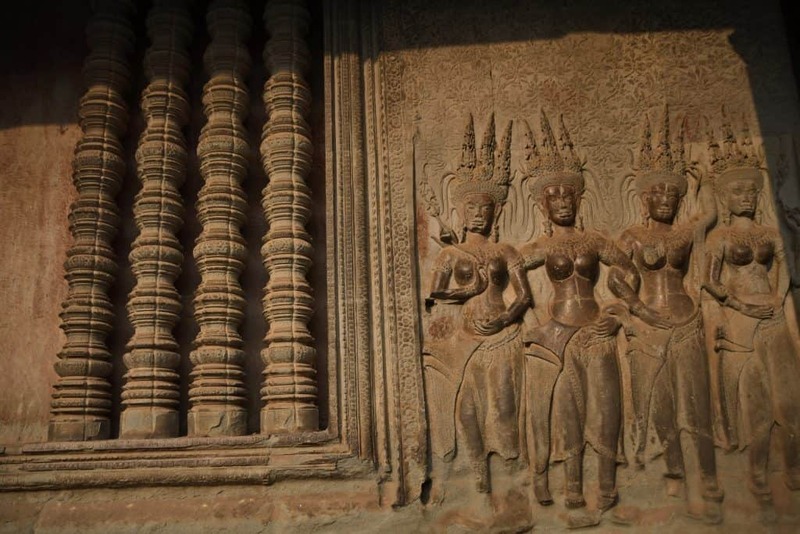 In the case of the Apsara carvings at Angkor Wat, I just found some places that no one else was interested in going at the time. There are always nooks and crannies and angles and subjects that you can isolate within your frame. It just takes a bit of extra effort and patience. 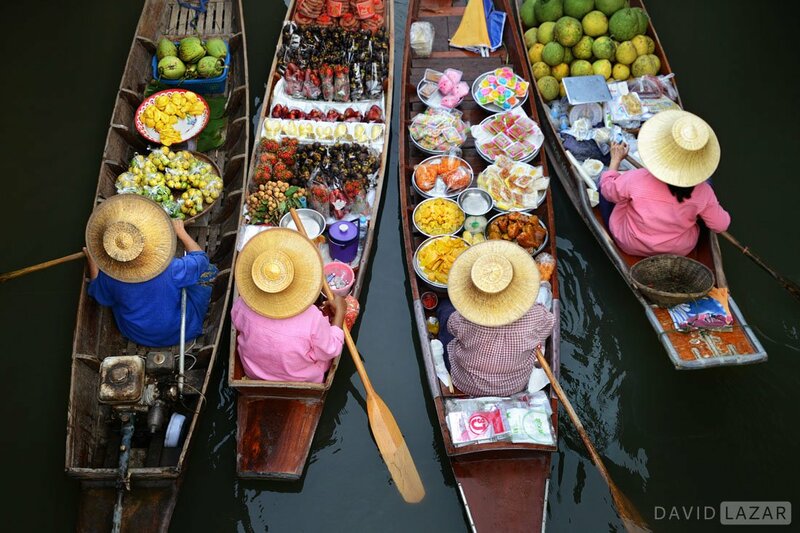 The wonderful floating market image below David Lazar managed to capture on our trip, was said to be impossible these days – too many tourists and everything is fake! Well, not quite. If you can’t beat ‘em, join ‘em! Tourists are always taking and posing for pictures, often with zest and humor. 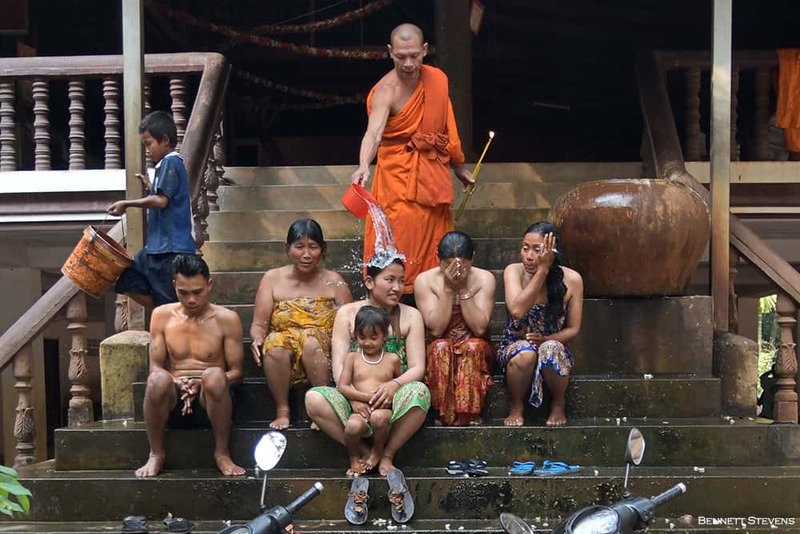 Visitors can also be native to the country you’re in but there for different reasons – like getting a water blessing from a monk or taking wedding photos! Making tourists your subject within the iconic scene can not only help lessen any crowd blues you might be experiencing, but result in an effective and publishable photo essay in its own right. Often you need to get the iconic shot, even if it has been taken a million times before. You strive for new angles and hope for great light, get the best captures you can, and move on! You move on because more than likely, your best, most compelling and original images will come from the road less travelled. It’s also a lot more fun exploring away from the maddening crowd, where the authentic experiences are to be found. Don’t write off fantastic places just because you may have been before, or heard they have a lot of tourists. In the age of easy travel it’s inevitable, and should not be a spoiler at all. To learn how to implement the above tips and techniques on the ground, as well as take your photography to the next level in a whole host of ways, our 4 country Southeast Asia Photo Tour Workshop with David Lazar is just the ticket. Tour dates are Dec 30 to Jan 13, 2019. Be there!